Pre-Printed with STAFF in large type font. 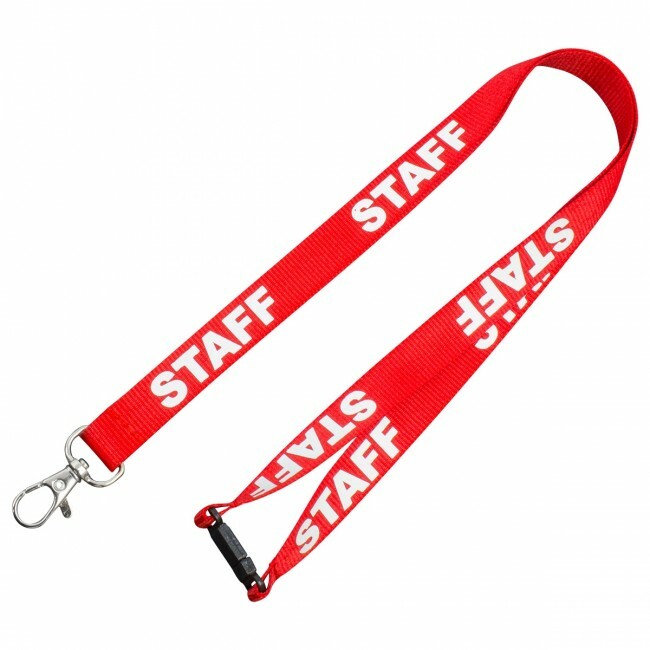 These lanyards are great for when you need to identify key people or team members, combined with a bright red colour and white lettering they are easily seen from a distance. Differentiating the staff from other people in this manner is a particularly useful option when the premises may encounter visitors, contractors, and security staff. 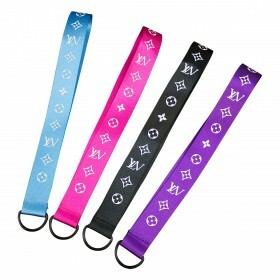 The lanyards very versatile in that can be worn with virtually any outfit while their durability makes them suitable for internal and external working environments. 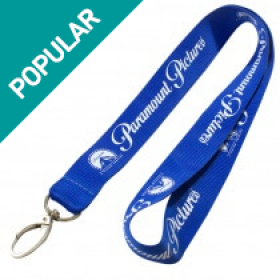 When your business employs a large number of people, the lanyards are also an excellent tool for informing workers who are colleagues. 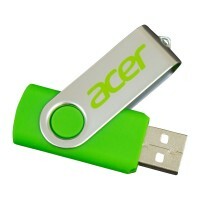 In turn, this can speed up a lot of daily processes, allowing the business to run smoother. Better still, it removes the threat of miscommunication and awkward interactions with non-staff. This small but simple part of uniform can also promote a greater sense of team unity to improve the atmosphere while also breaking down any feelings of hierarchy that may be harming the company. They can additionally help individual staff members feel safer at work. Ultimately, the incorporation of staff lanyards will improve the working environments for all employees while guests will also have a clear indication of who works for the company. 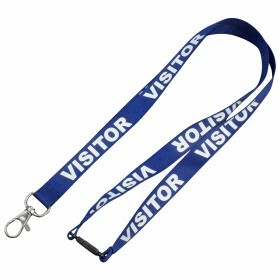 This can be equally telling as they may need added support during their visit to your business premises. 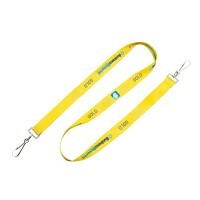 Staff lanyards can be ordered with a minimum quantity of just 10 pieces or ordered to batches of thousands. Our large stock of pre-printed materials ensures that your team will be equipped with these vital assets in next to no time. Ready to place your order? 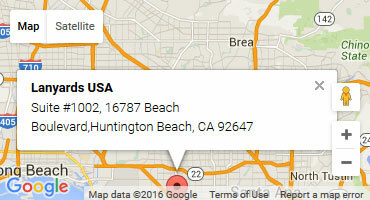 Call our sales team or use the simple online form to make it happen today!